The Cobra Marine Company JAWS Pro Series Split Ring Multi-Purpose Tool features the exclusive patented OFFSET JAW design making this tool the choice of top tournament professionals for the ultimate ease when installing split rings, changing hooks and blades, building lures and more. It's multi-purpose uses include cleaning jig eyes, spreading and crimping lead shot, trim line, inserts conveniently in the line spool to add or change line on your reel and many boat rigging applications, including inserting and spreading cotter pins. Used for all sizes of split rings. 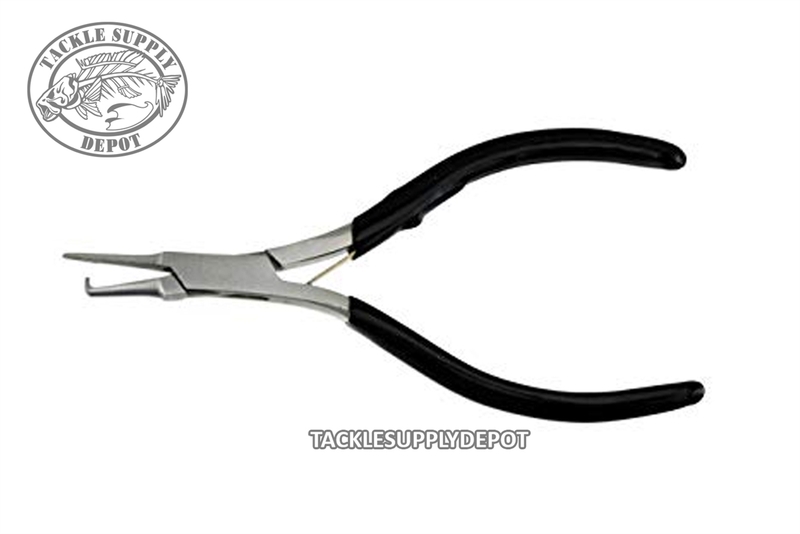 Quality surgical stainless steel with coated slip proof grips.